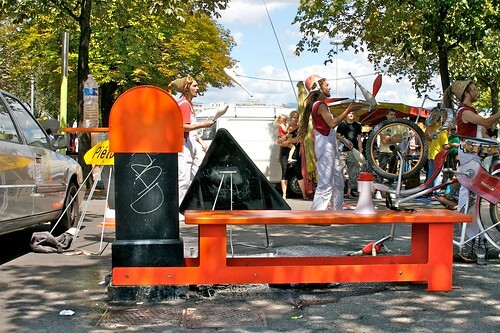 Several occurrences of adaptive street interface encountered in Geneva this summer. 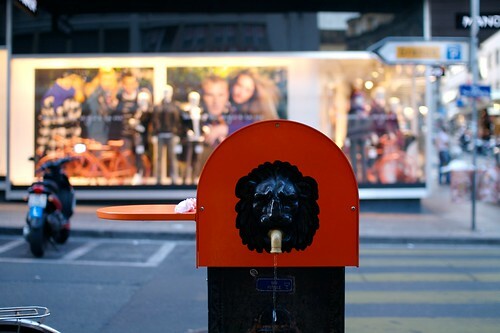 The street fountains has been accommodated with either a little table (above) or both a little table and a bench (below) with a bright orange color. I assume it's meant to encourage the street life/gathering around fountains. Why do I blog this? 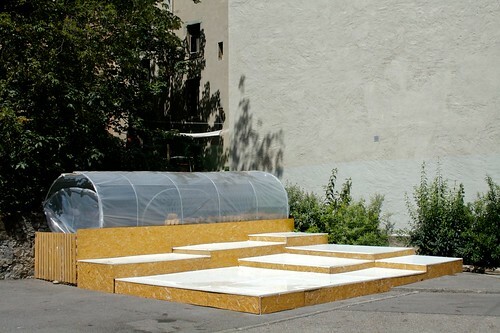 interest towards how the existing (hard) infrastructure can be complemented by other add-on devices that can enable new behavior (gardening) or facilitate existing ones (gathering). It's interesting to think about how to start from existing elements and not go directly for a new artifact. Besides, I also like the temporarily aspect of it: the orange steel devices seem to be limited for summer use. Different seasons, different objects.